2018-10-11, good News! ICMEP 2018 proceedings has ben indexed by SCOPUS. Call for papers now for 2019. 2018-09-29, good News! The proceedings of ICMEP 2018 has ben indexed by EI successfully. SCOPUS will coming soon. 2018-06-11, News! ICMEP 2019 conference will be held in Prague, Czech Republic during February 16 to 19. Call for papers now! 2017-08-06, News! 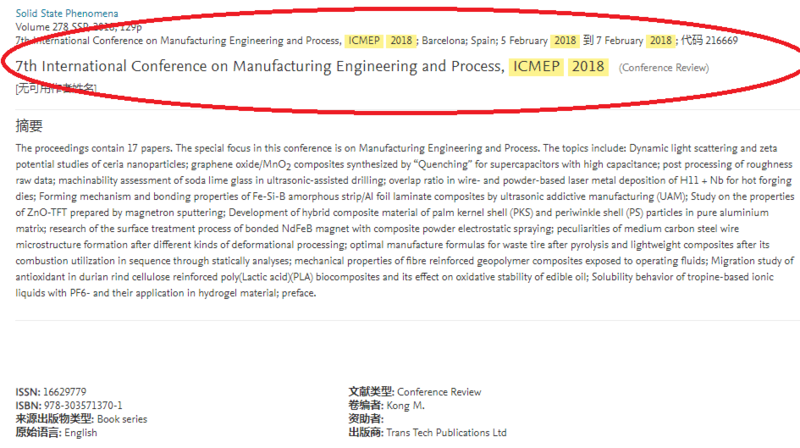 ICMEP 2018 will be held in Barcelona, Spain during February 5-7, 2018. Welcome your join! 2017-02-20, News! Submission deadline extended to March 30th, 2017. 2016-09-17, News! Balhassn S. M. Ali and Muhammad Fahad joined the conference committee.